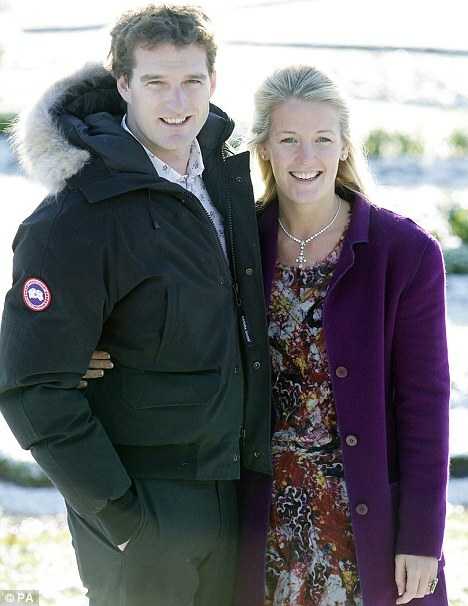 Lady Edwina Grosvenor, and her husband Dan Snow, welcomed their son Wolf Robert on September 9, a brother for Zia, aged 3. Lady Edwina is a prison reformist and philanthropist. She is the daughter of the Duke of Westminster, the third richest man in Britain, who is significantly wealthier than the queen. Through her mother Natalia Phillips, Lady Edwina is a direct descendant of King George II, and thus has a right of succession to the British throne, although she is only distantly in line. A distant relation of both Queen Elizabeth and Prince Philip, she is also a direct descendant of the Russian author Alexander Pushkin, and Nicholas I of Russia. Princess Diana was Lady Edwina’s godmother, and her mother Natalia is godmother to Prince William. Dan Snow is a television presenter who has made numerous history programmes for the BBC. Some of the programmes he has presented include Battlefield Britain, Britain’s Lost World, Rome’s Lost Empire, and Battle Castles. In My Family at War, he explored the role of his great-grandfather Thomas Snow, who was a military commander on the Somme during World War I. A political advocate for several causes, he was prominent in the Let’s Stay Together campaign to keep Scotland part of the Union. He and Lady Edwina were married in 2010, in a small private ceremony. Dan Snow made this statement about the choice of Wolf’s name: Our son was born today, 2005 years to the day since his ancestors erupted out of the Teutoburger Wald and annihilated the mighty legions of Varus. Like those wild Germans, he came screaming out of the dawn mist, under a full moon, and so we named him Wolf. The Battle of the Teutoburg Forest (Teutoburger Wald) took place in September 9 AD, when an alliance of Germanic tribes led by Arminius, chieftain of the Cherusci tribe, ambushed and annihilated three Roman legions and auxiliaries led by the Roman general Publius Quinctilius Varus. The result of the battle was that Germania remained independent and never became part of the Roman Empire. The date is a matter of speculation, but a full moon in September that year would have been late in the month – September 9 was two days after the new moon. There would been attacks at dawn during the course of the battle, which raged for days. Wolf and his father Dan share the same middle name, which also happens to be the name of two of Wolf’s great-grandfathers, on both sides of his family.